Gardai pictured at Dineen Factories near Woolfhill, Co. Laois. 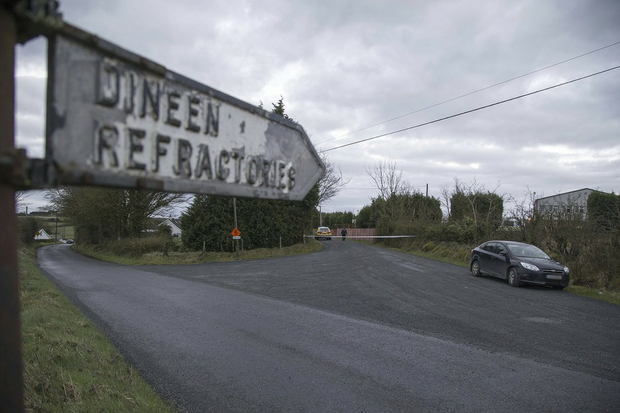 A man in his 40s has died from a gunshot wound after his wife and son fled a house in rural Co Laois after a suspected domestic assault. 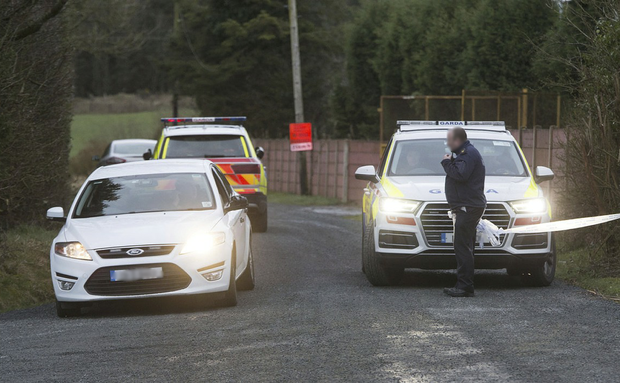 The man died after gardaí surrounded the rural farmhouse in Wolfhill, near the Laois-Kildare border, at around 3pm yesterday. He was alone in the property at the time of his death. Gardaí requested a media blackout at the time of the incident but last night revealed the man inside the house had died. They said no one was being sought in relation to the death. While gardaí did not fire any shots during the incident, the Garda Síochána Ombudsman Commission was notified. This is the protocol if a member of the public dies during an interaction with gardaí.